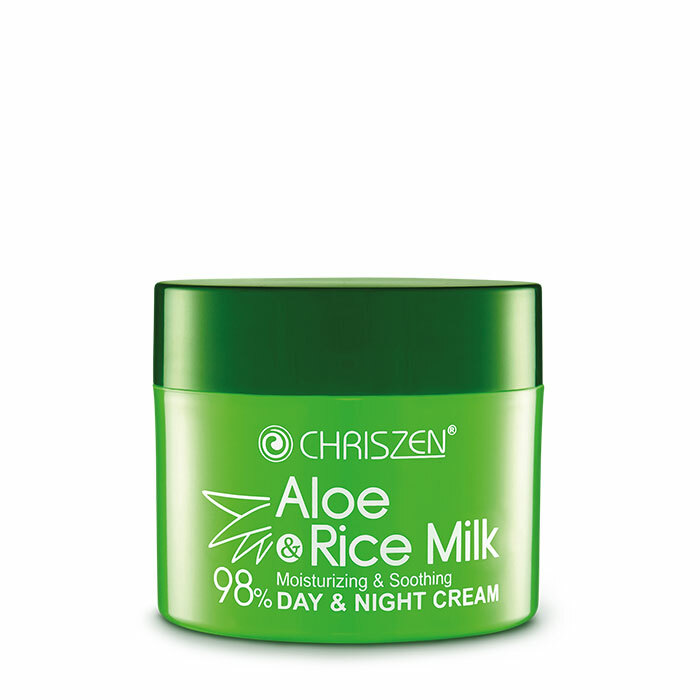 A water-based gel cream that can be used daily in the morning and night. 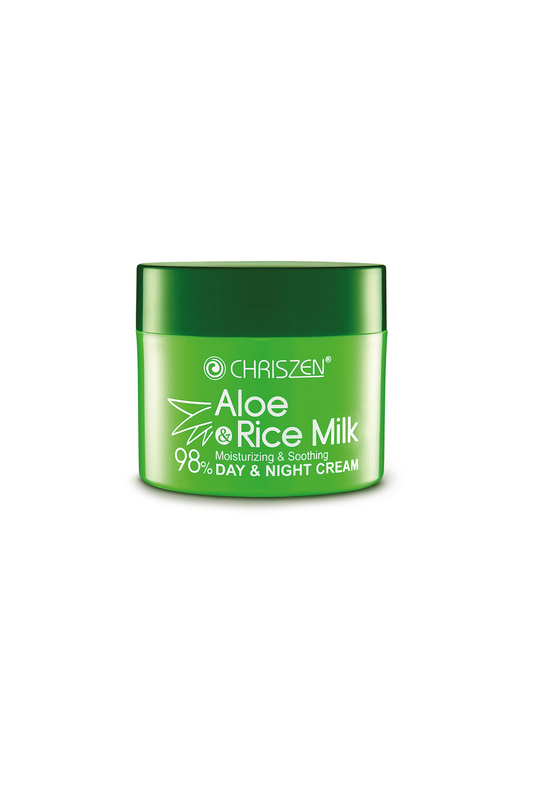 Made with Aloe Vera and Rice Milk, it helps to provide long-lasting hydration, reduce skin redness, soothe irritation and rejuvenate skin - for a brighter, fresher and more radiant complexion. 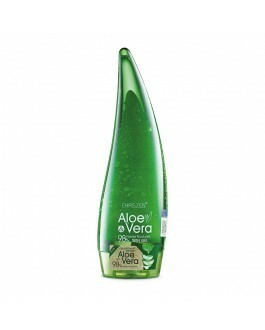 It locks in hydration all day long and helps to repair skin at night to prevent over-drying in air-cond environments. Specially formulated with 98% of Aloe Vera & Rice Milk extract, it is ideal for sensitive, dry and mature skin. 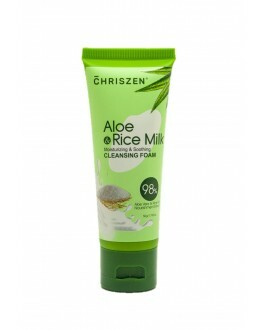 After cleanser and toner, apply generous amount of cream to face and neck. It is best to apply cream in small spots then smoothen out. 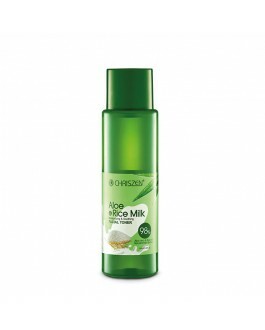 Gently massage cream into skin using small upward sweeping motions. Tips: Apply cream on to damp skin to lock-in moisture more effectively. 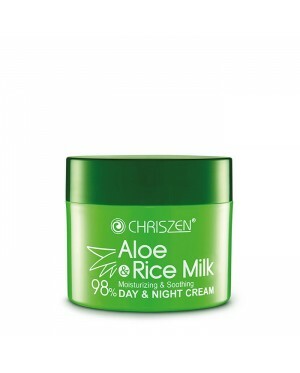 For effective results, use Chriszen 98% Aloe Vera & Rice Milk Facial Toner before using the Chriszen 98% Aloe Vera Rice Milk Day & Night Cream.